A number of things can happen when a beneficiary of an estate dies before the estate is distributed and closed. Ultimately, it depends on state law and the terms of the last will and testament. If a beneficiary survives the decedent but then dies while the estate is still being probated, the deceased beneficiary's share of the estate will typically become part of her own estate. For example, if Sally were to inherit $50,000 from her father, that $50,000 technically transfers to her at his death, even if the estate is still in probate. If Sally is no longer living, the money would then pass to Sally's own beneficiaries or heirs-in-law, depending on whether she had a will. If she had a last will and testament, Sally's share of her father's estate would pass to her beneficiaries under the terms of that will. If she did not leave a will, her share would pass in accordance with the intestacy laws of the state where she lived at the time of her death. Intestacy laws determine a list of kin eligible to inherit from a decedent when there is no will. 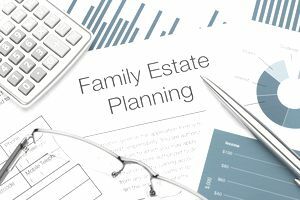 The list typically begins with the surviving spouse, if any, and children. These relatives are called "heirs-at-law." If the original decedent left a last will and testament, the terms of that will might dictate a period of time that must pass between his death and that of his beneficiary. This is called a "survivorship period" and is usually from a few days to a few months. If the original decedent's will does not dictate the period of time by which the beneficiary must survive the original decedent, or if the original decedent didn't have a will, the probate laws of the state where the original decedent lived will dictate the period of time that a beneficiary must survive beyond the original decedent's date of death. The beneficiary must survive at least beyond the original decedent's date of death. If she does not, her share of the estate stays with the original decedent's estate. If the original decedent's will states that his beneficiaries must survive by 30 days, and if Sally survives the decedent by only 15 days, Sally would usually be deemed to have predeceased the decedent just as if she had died before him. In either case, Sally's share would pass either in accordance with the terms of the decedent's will if he left one, or under the provisions of the state's intestacy laws if he did not. Many wills provide specific language to cover this eventuality, naming alternate beneficiaries who should receive an inheritance if the original beneficiary is no longer alive to claim it. Will You Have to Pay a Tax on Your Inheritance?